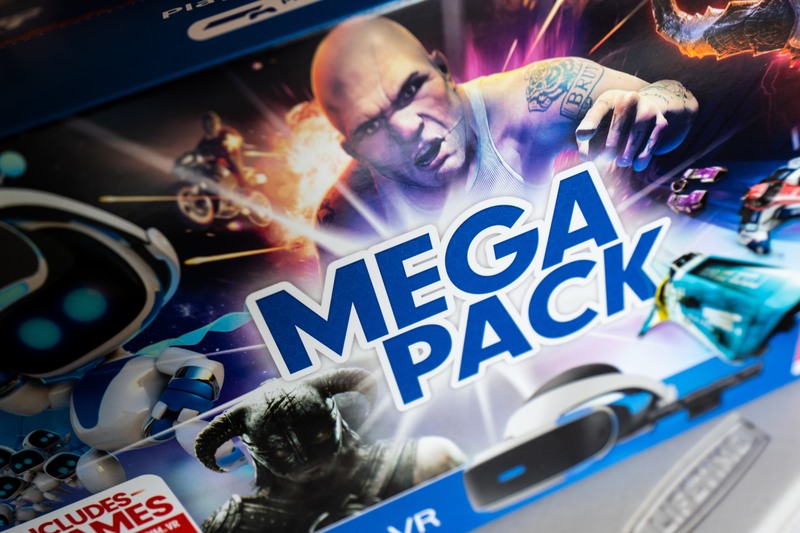 Have you wanted to get into PlayStation VR gaming but you don’t know where to start? Probably one of the best bets out there is to buy a bundle that not only gives you everything you need to get started but also a game to boot. But what bundle should you get? There are a few options out there, each with their own pack-in titles, but you might not know which game is more your style. We’ll help you wade through the options and tell you a bit about the games that underpin these awesome deals. One thing we can guarantee you is that if you’ve been on the fence but now you’re ready to spend money, a bundle is the best, most cost-efficient option out there. If you’ve wanted to experience a Mario-esque game in VR, then this bundle is your best bet. That’s because it comes with Astro Bot Rescue Mission, the critically acclaimed platformer for PSVR that is compared favorably to the Wii classic Super Mario Galaxy. Moss is in a similar vein though it focuses more on puzzle solving than Astro Bot Rescue Mission. As a young mouse named Quill, players will explore the world of Moss and work towards heading off an encroaching evil that threatens the world. This bundle is ideal for younger players or those gamers who have families because both Astro Bot Rescue Mission and Moss are ideal for all audiences. This bundle combines a much-lauded VR-exclusive title with a game that was lovingly shoehorned into virtual reality. Of course, Beat Saber is the pure VR game on offer here and it is touted by some as a killer app for the platform currently. Basically, Beat Saber is a rhythm game that combines VR immersion and lightsabers in what can only be described as a unique experience. Borderlands 2 VR takes the blockbuster Borderlands 2 and puts it into virtual reality with somewhat mixed results. Mixed because fans of the traditional experience might find this version clunky while VR players might not immediately warm up to the hybrid approach it takes in some places. Nonetheless, it is still Borderlands 2 and it is an awesome game, VR exclusive or not. A bundle for VR purists, Creed: Rise to Glory puts you in the gloves of a world-class boxer and Superhot is a trippy first-person VR shooter focused on headshots and rhythmic gameplay. Creed is a neat title and the setup fits naturally with VR as a concept. Superhot, on the other hand, takes some getting used to because it is familiar yet distinctly its own thing. As the name implies, this bundle comes with Batman VR included. There’s no time like the present to take the mantle of the caped crusader, and this bundle will help you do that. The Batman fan in your life will love this set. Need we say anymore? It’s Gran Turismo in VR. Heck, GT was already one of the most photo-realistic games out there, why not make it one of the most realistic games by taking it into VR? The 2016 reboot of DOOM but in VR. Battle the denizens of hell in this bundle that features the world’s best known FPS in all its virtual reality glory.